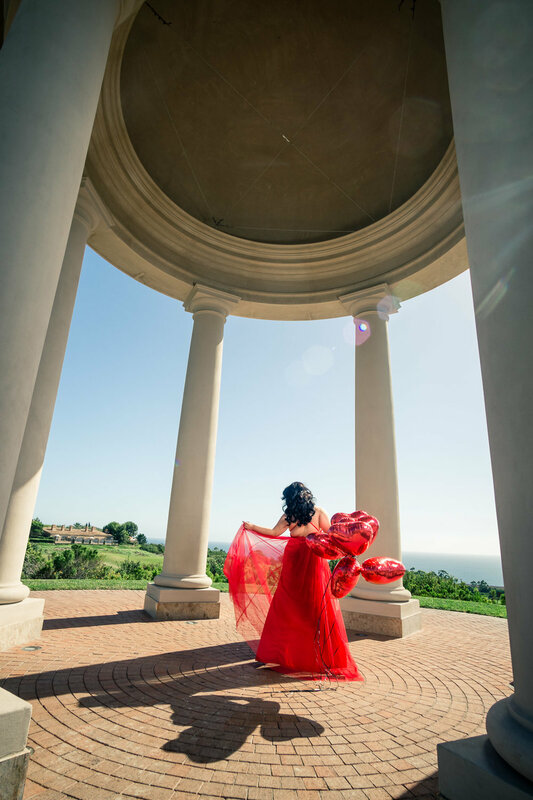 Kim contacted me a few weeks ago about doing this photoshoot for her birthday at the Pelican Hill Resort in Newport Beach. I didn't know her at the time but after watching a few of her YouTube videos (amazing beauty YouTube channel btw) I felt like we were going to have a blast. She was super excited for the looks and the dresses and the location and for my photography style (that always makes my day and is a good sign!). I know we would only have two hours allotted to us so I had to be on my A game. With photoshoots like this, preparation is key. I spent at least a few hours of prep work with color wheels, location scouting, lens choice, lighting, sun charts, etc in order to hit a grand slam for her birthday. Well I'm excited to say I think we all are loving the photos. A huge thanks to my amazing assistant @haniahusseinphotography for her encouragement and keen eye. Shoutout to Kim's sauve hair stylist @tonywonderhandsss and her beautiful and bubbly best friend Michelle for doing a flawless job on makeup. Thank you to our friend Devon and @pelicanhillresort for hosting us. And thank you Kim for having me be your Photograher. Can't wait to work with you again!